When Charles Tawazadza, a farmer in eastern Zimbabwe’s Middle Sabi area, tried to borrow money from the bank to finance his farming business, the bank rejected his application. He has land but doesn’t have title deeds to use as collateral for the loan. Tawazadza is one of the thousands of beneficiaries of President Robert Mugabe’s controversial land reform programme launched in 2000. The programme brought Zimbabwe’s once vibrant agricultural sector to its knees. The government seized farms from up to 4,000 commercial white farmers but most of it was distributed to members of the ruling party. Mugabe argued that the programme was necessary to address the colonial imbalances that saw minority white farmers controlling the country’s prime agricultural lands. But this terribly disrupted the agriculture economy. Before this reform, farmers of the Middle Sabi area met the country’s wheat requirements; but not anymore. In just two decades, the country has become a net importer of basic crops, such as maize, which is imported from as far as Brazil and Mexico. Chronic drought and unpredictable weather due to climate change compounded the problem. Zimbabwe is no longer southern Africa’s breadbasket. Since financial resources are limited, most farms have been lying fallow. These include big farms, which once earned millions of dollars by exporting crops like sweet corn and baby corn, a variety of beans and horticultural products like Kondozi in Manicaland province. This has pushed the country into the import trap. Eddie Cross, the country’s leading economist and agriculture expert says the country’s agricultural output is down by about 70 per cent and Zimbabwe is importing over 80 per cent of all its foods, which are now priced at import parity. Zimbabwe’s food import bill ballooned to more than US$1.5 billion at the height of the El Niño-induced drought in 2016, according to the country’s Vice President Emmerson Mnangagwa. Cross says if all food imports could be produced locally, the benefits would be huge. “Replacing the import means creating 0.35 million jobs locally and saving some US$2.5 billion per annum in foreign exchange.” Take the case of the lucrative poultry business. Enock Mbendani of the Manicaland Poultry Producers Association, a group of poultry producers in Manicaland province, says there are enough locally produced poultry products for domestic consumption; but they are more costly than the imported ones. Due to the rising food import bill, there have been some efforts to make farming tenable again. But they have failed due to corruption and abuse of government facilities. For instance, in 2007, through the Reserve Bank of Zimbabwe, the government introduced the Farm Mechanisation Scheme, but it failed because most farm mechanisation resources were given to the political elite. And late last year, the government came up with another programme, the Targeted Command Agriculture, aimed to ensure food self-sufficiency. Under the three-year-scheme, targeted farmers are given agricultural inputs by the government, with each participating farmer committing 5 tonnes of maize per hectare towards repayment of loans. Though originally the Targeted Command Agriculture, spearheaded by Vice President Mnangagwa, targeted maize production, it has also been extended to livestock production, wheat farming and fishery. “Command Agriculture is a policy intervention by the government informed by the imperative to substitute grain imports through increased agricultural production and productivity, thereby revitalising various agro-processing value chains and helping the country to re-industrialise,” Mnangagwa said during a public lecture at Midlands State University in Zimbabwe’s city of Gweru early this year. Agriculture revolution is the new buzzword in Nigeria, Africa’s largest economy. For a country that came to treat oil as its main economic crop, it is an unusual turnaround. Though agriculture remains the largest sector of the economy and employs two-­thirds of the labour force, production hurdles have stifled the performance. Between 2011 and 2015, agro-­processed exports declined by 41 per cent. Over the past 20 years, it is estimated that Nigeria has lost US $10 billion in annual export opportunity from groundnut, palm oil, cocoa and cotton due to a decline in their production. Across most key crops, the rate of consumption has outstripped production in Nigeria. The deficit has been met largely by imports, making the country a net importer, a trend evident since 1975. Currently, Nigeria imports about US $3-5 billion worth of food annually, especially wheat, rice, fish and fresh fruits. Wastage remains high in production areas, reducing supply of feedstock to processing factories, requiring them to keep importing supplies. The effect has limited job growth across the agricultural chain. Import dependence has also made Nigeria vulnerable to global agro-price fluctuations. Emmanuel Oladipo, an environmentalist and Nigeria’s consultant to Global Environment Facility’s Food Security Programme, says, “When the oil money started coming, we became affluent and discarded the local brand of rice.” This left marginal farmers in limbo. Local production could not match the price of cheaper imported rice. Oladipo says the current situation is encouraging for farmers because they are regaining importance. In the 1990s, people could get money from the oil, and there was no policy to guide farmers, which led to massive desertion, he says. After an initial effort by the past administrations that turned out to be a false start, fresh policy changes have been introduced in Nigeria. For instance in 2012, the government introduced the Agricultural Transformation Agenda (ATA) to improve farmers’ income, food security and to generate employment. ATA is said to have increased agriculture output by 11 per cent, to 202.9 million tonnes, between 2011 and 2014. It also reduced the 2014 food import bill by US $1.29 billion. More recently, the government launched the Agriculture Promotion Policy aimed at overcoming food shortages and improving the output quality. In addition, the Economic Recovery and Growth Plan (ERGP) prioritises food security and aims to achieve self-­sufficiency in tomato paste, rice and wheat, by 2017, 2018, and 2019/2020 respectively. ERGP projects that the value of agricultural production would increase by 31 per cent in 2020. But still the agriculture sector faces many challenges, notably an outdated land tenure system that constrains access to land (on average, a farming household has 1.8 ha) and a very low penetration of irrigation facilities (less than 1 per cent of cropped land is under irrigation). Other factors include limited adoption of technology, high cost of farm inputs, poor access to credit, inefficient fertiliser procurement and distribution, inadequate storage facilities and poor access to markets. These have kept agricultural productivity low (average of 1.2 tonnes of cereals/ha). According to Bala Dogo, coordinator of Kaduna-based Care and Action Research, a non-­profit, there was a misplaced priority. “It was an issue of planning ‘for’, and not ‘with’ the people,” Dago says. The last harvest in October 2016 was one of the worst for Justus Mutai, a 54-year-old Kenyan farmer from Kericho county in the country’s Rift Valley region. 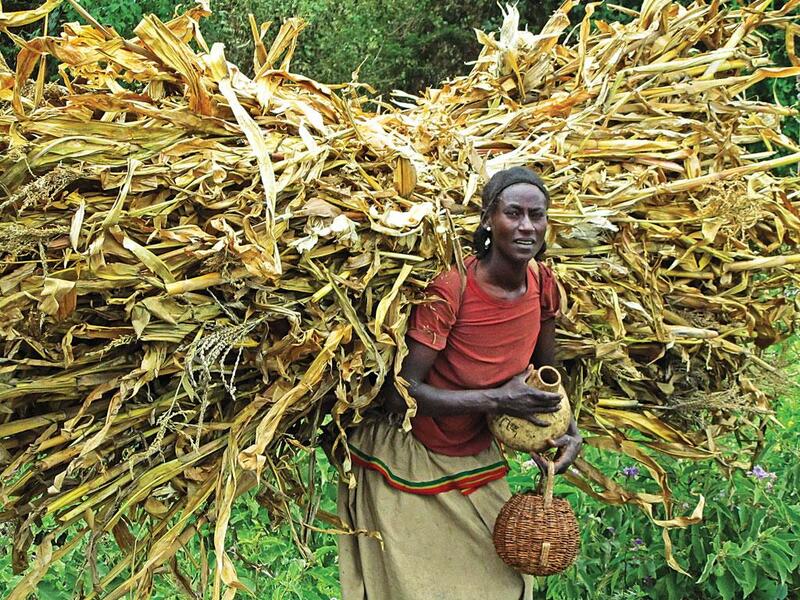 From his 4 hectares under maize, he only managed 100 bags of the staple food, a far cry from the 300 bags he would usually harvest in a good season. Poor rains and sub-standard government-supplied subsidised fertiliser were partly to blame for this. “The crop hardly improved as it should have after the use of fertiliser, and the situation was made worse by inadequate rains,” says a dejected Mutai. Most of Kenya received poor rains in 2016, leading to one of the worst food crises in the country since the 1990s, with the country having to rely on food imports almost throughout 2017. The Kenya National Bureau of Statistics (KNSB) says that the country spent a whopping US$1.146 billion on food imports, or 8 per cent of the total import bill in 2016. The figure is predicted to rise in 2017 due to the drought. 2017 being one of the worst years in terms of Kenya’s food security, KNSB statistics indicate that by April the country had spent about US$0.33 billion on buying food, mainly cereals—maize, wheat and rice. The figure could triple in the remaining quarters of the year. According to Agriculture, Livestock and Fisheries Minister Willy Bett, the government is doing all it can to ensure the country is food self-sufficient, by, among others, significantly increasing land under irrigation. “We agree that these past two years have been very bad as far as food production is concerned, with weather being the biggest culprit, says Bett, and adds that the country is trying to reduce its dependence on rains. At the height of the shortage this year, a 2 kg packet of maize flour cost US $2, an amount that nearly caused food riots in the country. By August the Food and Agriculture Organization put the number of people in urgent need of food aid at 3 million in Kenya, and 16 million people in the Horn of Africa countries of Kenya, Uganda, Tanzania, Somalia and Ethiopia. “Over-reliance on rain-fed maize production is one key cause of suboptimal production, which occurs during years of drought. This is because arable land accounts for less than 20 per cent of the land mass in Kenya, and over time, it has been declining due to increasing population and other competing alternative land uses,” says Dennis Otieno, research fellow at Tegemeo Institute of Agricultural Policy and Development, Egerton University in Nakuru city. According to Otieno, Kenya has been unable to meet its domestic maize demand since 1994, with the average annual maize production standing at about 40 million bags while consumption is over 50 million bags. The country needs to cut post-harvest losses, which stand at 30-40 per cent of all yields across Africa, increase agriculture budget, raise numbers of extension officers, and modernise agriculture by investing in technologies. According to Anne Mbaabu, head of Markets and Harvests, Alliance of Green Revolution in Africa, an organisation that seeks to improve agriculture across Africa, Kenya needs more investment in agriculture, including private sector investment, protection of farmers through crop and livestock insurance, investment in irrigation, storage and roads infrastructure, and a boost in its ability to respond to epidemics. More important is the political will to implement farmer-friendly policies and good prices to motivate farmers to produce more. In March, Zambia created a flutter when it banned the import of certain fruits and vegetables. The decision was made to promote the agriculture sector. For a country that is not known for its domestic agriculture, the decision shows how desperate the situation is. In fact , the scenario is the same across the continent, with one country after another becoming dependent on imported food. It’s important to take into account the political context that led to the ban. Historically, Zambia focused on mineral exports as the dominant economy sector. It helped Zambia earn enough to pay for food import. But during his third term, President Levy Mwanawasa was forced to diversify the economy when global copper markets tanked in the late last century and the economy collapsed. Just like other African countries, Zambia’s imports of agricultural produce affect the local market. The list of banned items includes tomato, onion, carrot, mango, potato, pineapple, lemon and watermelon, and local farmers have greeted the decision with the hope that their produce will now have a market. But there is also a rider: farmers need right infrastructure to package, process and deliver the produces. Frank Kayula, president of the National Union for Small Scale Farmers in Zambia, agrees that lack of infrastructure is a serious drawback, especially for small-scale farmers who produce the country’s 80 per cent food. Poor infrastructure in agriculture at sowing, harvesting or selling stages resulted in agricultural countries like Zambia not being able to meet the domestic demand, which led to net import of food, Kayula says. For companies dealing with food produce, the absence of a robust supply chain is the biggest hurdle to benefit from the ban. Food Lovers Market, a South African fruit and vegetable supermarket that has outlets in Zambia, has cited inconsistent supply and bad quality of produce from local farmers as one of the reasons for its disapproval of the ban. Calestous Juma, a professor at Harvard University, questions the ban as an instrument of achieving food sovereignty. According to Juma, in many cases, imbalances in agricultural trade exist because the country has not invested enough on storage facilities and capacity building. Julius Shawa, permanent secretary in the Ministry of Agriculture and Livestock, says the ban follows concerns raised by local farmers. “Just recently, we received complaints from farmers that some tomatoes from neighbouring Tanzania were being imported cheaply, hence under-cutting our farmers. Our concern as a ministry is to encourage the sourcing and supply of these products from within the country; so we have imposed an administrative restriction for now,” Shawa says. He says the country has the capacity to satisfy local demand. “We are telling our farmers, here is the market. We want to make our farmers rich,” he says. With a population of 2 million and one of the highest per capita GDP in Africa ($18,825), Botswana shouldn’t have been worried by the rising food import bill. But it has reached such proportions that it can cause a collapse of the country’s economy, say experts. Botswana lies in the Sub-Saharan Africa (SSA) region, where the gap between cereal consumption and production is the largest in the continent. Further, it is projected that the demand will triple between 2010 and 2050. This is much greater than in other continents including Asia. Indeed, SSA, including Botswana, is the region with the greatest risk to food security because by 2050 its population will increase 2.5 times. The region already depends on import. To meet the future demand, it would have to import even more. What’s worse, the agriculture sector has seen a steady decline over past four-five decades. From a 42.7 per cent share in GDP at independence in 1966, agriculture fell to 1.9 per cent in 2008. Add to this the threat of climate change. Jimmy Opelo, permanent secretary in the Ministry of Environment, Natural Resource Conservation and Tourism, says, “What we need to ask ourselves is: are we ready for climate change and how can we adapt to it so as to reduce its effect in our country.” The country no longer receives normal rainfall and this has changed its agriculture cycles, he adds. Its impacts are visible. Some 1,000 km from the capital city, Gaborone, the village of Shakawe hosts some incredible stories of making the country self-sufficient and also to fight climate change. The non-profit, Trust for Okavango Cultural and Development Initiatives (TOCADI), is implementing a programme to facilitate and mobilise community-based organisation to practise subsistence farming since 2003. The initiative has resulted in slow agro-industrial and supply chain development that is needed to drive the growth of associated sub-sectors such as food processing, transport and manufacturing. This is the most important investment to make domestic food production viable in the face of rising import. Conversations with local communities indicate a turnaround in local food production. However limited this initiative might be, it has resonance in the country’s agriculture sector. About 70 per cent of rural households derive their livelihoods from agriculture, through subsistence farming. The government has also introduced a young farmer’s fund to encourage the youth to venture into farming. The loan may be used for infrastructure development needed for the project. When 65-year-old Emmanuel Ssempila of Rwentondo village in Kakoba division of Uganda’s Mbarara district joined coffee farming 42 years ago, he never envisaged how much his life would change four decades later. 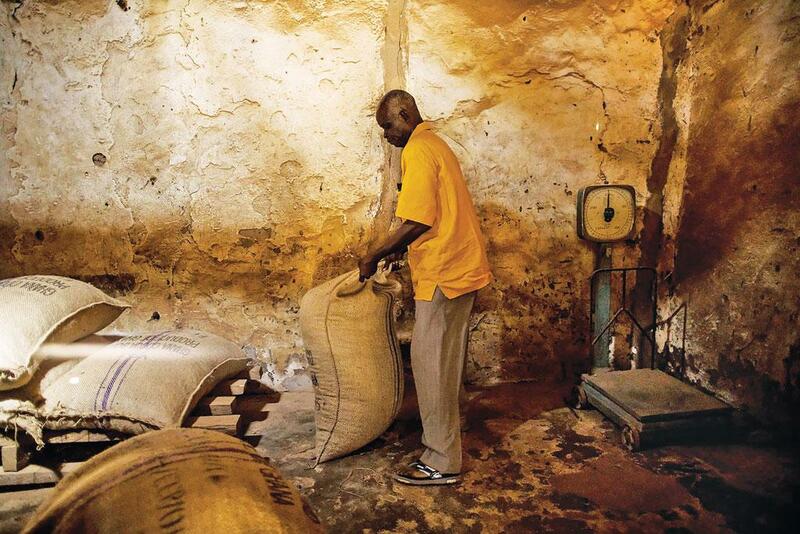 In these 40 years, coffee farming has enabled him to send his six children to get university education, build a house and live a middle-class life as per Ugandan standards. He is now his village’s “nucleus coffee model farmer”. In that capacity, introduced under the government’s agriculture zoning approach, Ssempela provides some basic services to his fellow village residents, such as distributing coffee seedlings supplied by the government. With this approach—just one of an array of initiatives that it has set up—the Ugandan government hopes to boost coffee production from the current 4 million bags to 20 million by 2025. But as Uganda strategises to increase coffee, cotton, tea and tobacco exports, its food imports have steadily increased. This is taking a toll on the market for local produce. Take for instance vegetable oils. Uganda imported crude palm oil worth US $149.4 billion in 2015 according to the Uganda Bureau of Statistics. “It means the market for indigenous oils gets drastically reduced. So while a farmer labours to produce oil crops, he won’t get a good price because the demand is greatly reduced,” reasons Sydney Ongwali, Regional Supervisor, Uganda Oil Seed Producers and Processors Association. Another example is maize. Although Uganda is one of East Africa’s leading maize producers, it has continued to import it from its neighbours. “When maize from Tanzania and Rwanda comes in, the cost of a kilogram of Ugandan maize reduces from US $0.08 to US $0.04,” says Asaph Mugizi, former chairperson for Mbarara District Farmers Association. But whereas Ali looks at increased food imports as an advantage, Wilson Twamuhabwa, an economic advisor to Uganda’s minister for finance and economic planning, disagrees.“At times, food comes into Uganda at a lower price, which kills the farmers’ incentives to produce more,” he notes. Uganda is currently in the throes of drought. According to a government survey done between December 2016 and January 2017, Uganda’s crop production suffers from limited access to irrigation, low rates of adoption of modern farm practices, lack of insurance schemes, and inadequate meteorological and agricultural advisory services. Uganda’s current food insecurity, contends Twamuhabwa, has taught a big lesson to the government. “We will revamp agriculture.” This, he says, will be done by providing extension services, quality seeds and water for irrigation to farmers, availing long-term financing and conserving the environment. For example, according to Wilson, this financial year, the government has provided US $22 million for irrigation. It has also set aside, US$8.3 million to fund agriculture extension services. It is mid-morning on a dusty road leading to the Nsangwe market in southern Malawi’s Chikwawa district, and Alexander Fombe is resting under the shade of an acacia tree, a 10-kg bag of maize by his side. Fombe travelled 6 km from his house to the depot of the state-run Agricultural Development and Marketing Corporation to buy subsidised maize. The journey is not his primary concern; feeding his five children and the next harvest are. As a result of last season’s failed crop in Chikwawa and other districts in Malawi, Fombe is among thousands who will face hunger in 2017. As per the Malawi Vulnerability Assessment Committee’s evaluation, this year an estimated 6.7 million Malawians are “food insecure”. “Domestic production is low and erratic. It leaves us depending on imports,” says Prince Kapondamgaga, CEO of the Farmers Union of Malawi. “On the other hand, increasing food imports means we are rendering, whatever little is produced locally, useless. This is because Malawians consider imported food to be better than local produce. The country also projects maize as the strategic food item to fight food insecurity. We need to change this mindset,” he adds. Experts cite various reasons for hunger being a perennial problem in Malawi. Economic analyst Henry Kachaje blames policy failure. “There must be a key political champion at the head-of-state level to steer and champion a vision on agricultural revolution,” he says. John Kapito, executive director of the Consumers Association of Malawi, a Blantyre-based consumer rights watchdog, agrees that attaining its national food requirement has been a major challenge for the government. The last time Malawi had a grain surplus of 0.5 million tonnes was in 2005. Agriculture expert Tamani Nkhono notes that a combination of inadequate infrastructure, geographical realities, an ineffectual political system and changing weather patterns have created food scarcity in Malawi. So what can Malawi do? “We need to extend cropping opportunities and facilitate crop diversification for both total and supplemental irrigation, create an enabling environment for irrigated agriculture and optimise government investment in irrigation development,” says Nkhono. Malawi’s principal secretary in the Ministry of Agriculture, Irrigation and Water Development Erica Maganga says new policies and leadership are key for a solution to hunger. She also emphasises the need to adopt irrigation farming as the solution to food challenges arising from climate change. “With support from the World Bank and other donors, the Malawi government is developing a new national agricultural policy to refocus smallholder subsistence farming to commercial approaches. It promotes commercialisation to help sustain growth in the agriculture sector,” she says. Government plans are underway to intensify solar power irrigation in all irrigable areas. The country’s first-ever Irrigation and Investment Master plan seeks to irrigate over 100,000 hectares in the next 20 years. Tanzania is a large country covering 947, 000 sq km from the Great Lakes to the Indian Ocean and has a population of 45 million people. 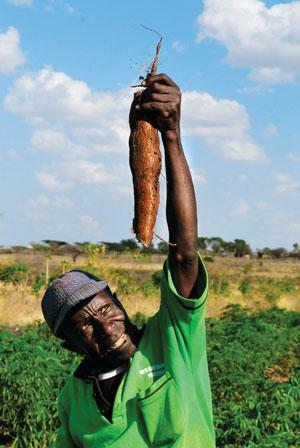 Over 75 per cent of Tanzanians depend on agriculture for their livelihoods. Most of Tanzania has a single wet season which occurs between December and April. The country’s various regions produce different crops: maize in the southern highlands; coffee and horticultural products in the northern highlands; sorghum, tobacco and cotton in the relatively drier centre and northwest and cassava and cashew (for export) in the southwest. The government’s neglect of the agriculture sector is quite evident. Tanzania has over 44 million hectares of arable land, but only a quarter is put to effective production. Agriculture contributes 25 per cent of the country’s GDP. But Tanzania spends only 0.85 per cent of its national budget on agriculture. Recently, the government pumped in US$9.3 billion into the Tanzania Agriculture Development Bank. But experts say the amount is simply inadequate as it is meant not just for farmers but for the whole agricultural chain. Another instance of neglect is irrigation: only 5 per cent Tanzania’s cultivated land is irrigated. This is because surprisingly little attention has been paid to irrigation in the country. Minister for Agriculture, Livestock and fisheries, Charles Tizeba has now promised to expand irrigation to 1 million hectares by 2020. Rugemeleza Nshala, Managing Director of Dar es Salaam-based environment protection organisation, Lawyers’ Environmental Action Team, says Tanzania needs to take immediate measures to accelerate the processing of agricultural raw materials. Tanzanian governments (of the mainland and Zanzibar) must play a greater role in industrial promotion, particularly in small-scale industries of which those related to animal feed deserve special attention. Nshala says Tanzania’s efforts in achieving agricultural growth are hindered by corrupt agricultural bureaucracy. That is the biggest problem that needs to be fixed, he says. The primary issue in Ghanaian agriculture is farmers’ age. Most Ghanaian farmers are semi-literate smallholders above 50. Over the past few years, many Ghanaian youth have failed to venture into agriculture, largely due to the sector’s unattractiveness. It is modernising at a slow pace, with farmers still using regimented tools and approach to farming. “About 70 per cent of our farmers are above 50 years. It means the youth are not getting into agriculture. It is they who can introduce innovations,” says Francis Danso Adjei, content manager at Ghanaian agriculture startup, Esoko. The government of Ghana is seeking to address the problem of youth in agriculture with its flagship policy called Planting for Food and Jobs Campaign. It was launched by the country’s president, Nana Addo Dankwa Akufo-Addo, in April 2017. It would be implemented in 216 districts, with an aim to target 0.2 million farmers and create over 0.7 million jobs. However, the new policy cannot be implemented single-handedly by the government. There has to be involvement of the private sector. That is where agriculture startups come in. They are growing rapidly in Ghana. Currently, there are about six in the country. With most of them being led by the youth and having a lot of youth in their operations, it presents an opportunity to get the youth involved in agriculture. Image-Ad, a company formed in 2009, has a platform called Mfarms Agribusiness Solution—a mobile and web-based system for managing and communicating within the agricultural value chain. “Mfarms was previously sending price information to farmers through messages on mobiles. After research, we realised that most farmers are illiterate. We then came out with a solution to give farmers information in their local dialect,” says marketing manager Michael Anderson. “Information technology is built on infrastructure, which requires servers to run without interruptions. It means that electricity issues need to be addressed. Mobile network operators would have to be efficient... We should not have periods where calls drop or fail to connect,” says Adjei. Ethiopia's growth story has caught the imagination of Africa and the world. But the truth about one of the globe’s top five emerging economies lies beyond the headlines. It is about the thin thread of food security that could snap any day, given droughts and famines that happen with cyclic regularity in the Horn of Africa. It is also about the diversion of water and land and the loss of biodiversity, all for the sake of development. Ludwig Siege, an expert on sustainability and protected areas in Ethiopia, drives home the point on the crisis. “No amount of riches can replace the biodiversity of Ethiopia, most of which has lost out to urbanisation and unsustainable growth. When 85 per cent of arable land is owned by small landowners, big corporations simply buy them out to put factories, breweries and livestock farms on prime crop lands,” he says. The economy is being upended by industrial production and cash crops. One is coffee, which accounts for 40 per cent of Ethiopia’s exports, with an estimated 15 million people involved in its production. Another crop is sugarcane. Ethiopia could soon have 40,000 hectares under sugarcane and produce up to 1,500 tonnes of sugar per day. For this, vast swathes of tribal farm and grazing lands have recently been leased out to sugar factories and water diverted from scarce wetlands when more cereals and pulses ought to be grown to feed the malnourished. The effluents from sugar factories are a big concern as well. There has been a drastic loss to Ethiopia’s unique biodiversity, often because of agricultural reasons. Take, for instance, the Senkelle Hartebeest Sanctuary, a 58 sq km protected area providing refuge to the critically endangered antelope, the Swayne’s hartebeest. The sanctuary is hemmed in by dairy farmers and pastoralists graze their livestock, collect fuel wood and hunt for game in the protected area. The fringe of the Bole National Park, home to the world’s rarest canid, the Ethiopian wolf, has been heavily settled upon and witnessed slashandburn cultivation of barley and pearl millet. Not surprising, only 300 wolves survive in the middle of all the human activity. There are people in Ethiopia who are trying to reverse the tide. Tarekegn Habte, a college student who belongs to the Hamar tribe of the Omo river valley, talks about an eco-friendly indigenous practice that his people practise. “To counter the loss of pasture, we recoup grasslands by fencing in vast stretches of land called darr. Inside the darr, wild grasses will eventually grow again. The darr is a good example of controlled grazing practised to this day,” he says. Ethiopia’s predicament is also true for the rest of Africa. The continent needs to promote farming to curb food imports, but this cannot be at the cost of environment. Climate change-triggered weather events and rising population of Africa will only make the food shortage more acute.